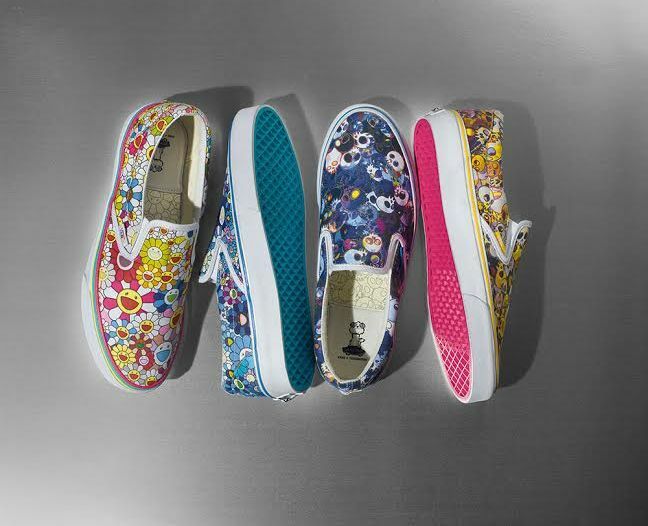 Vans, the original action sports footwear and apparel brand, partners with acclaimed Japanese contemporary artist Takashi Murakami for an eclectic collection under Vans’ premium label, Vault by Vans. 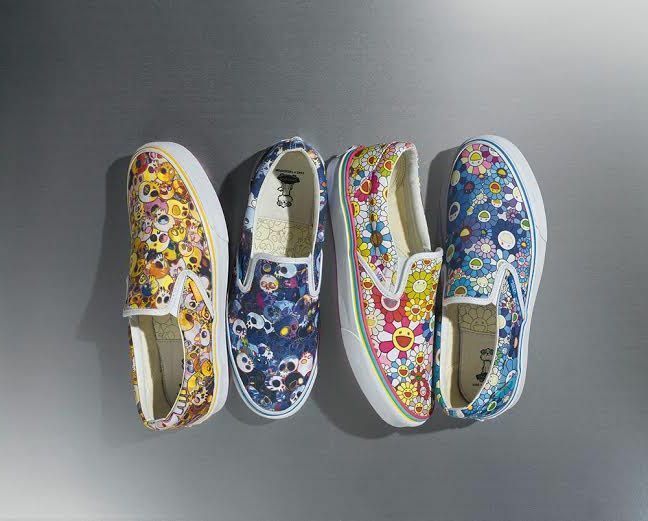 Celebrated for his vibrant paintings, as well as his immaculate sculptures and designs, Murakami makes his favorite Vans silhouette, the Classic Slip-On – which happens to be the shoe he wears in his studio every day – the focus of his next project. 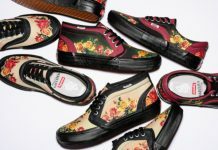 In addition to footwear, the Vault by Vans x Takashi Murakami collaboration brings forth an artistic assortment of apparel and skate decks for release in late June. Murakami’s anime-influenced aesthetic is renowned for its incorporation of lively colors, shapes and imagery inspired by traditional Japanese art and pop culture. Now generally recognized as a “Superflat” form, a term he himself coined, his work is known for blurring the line between high and low arts. For fall 2015, two of Murakami’s recurring motifs – the smiling flower and skull patterns – are brought to life in a limited edition selection of Slip-Ons, skateboard decks and tees. For his collaborative footwear capsule, Murakami presents the Classic Slip-On, in six adult-unisex colorways alongside a trio of toddler-sized offerings. The first half of the adult assortment showcases the smiling flower print in blue, multi-colored and silver line variations while the second half highlights the allover skull arrangement in a darker blue, yellow and gold line color-ups. Murakami’s own dog, Pom, makes a cameo on the footbed of each Slip-On as she sits atop the Vans skateboard logo. The toddler-sized shoes from the collection are stylized in a more subdued set of color-ups that feature single image prints Murakami’s flower, skull and Pom on each toe vamp. 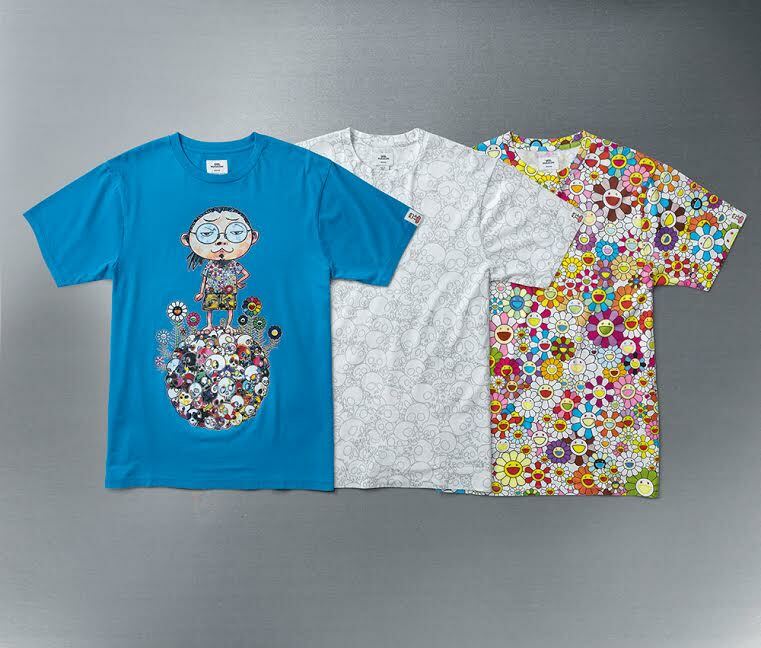 The Vault by Vans x Takashi Murakami collaboration rounds out with three graphic styles of shirts and skate decks. The tees highlight the smiling flower in a multicolored collage, the skull stamp in an allover silver outline and Murakami himself on a blue background. The skateboard decks feature the same patterns on their undersides while Pom makes an additional cameo on the wood-finished topside of each deck. 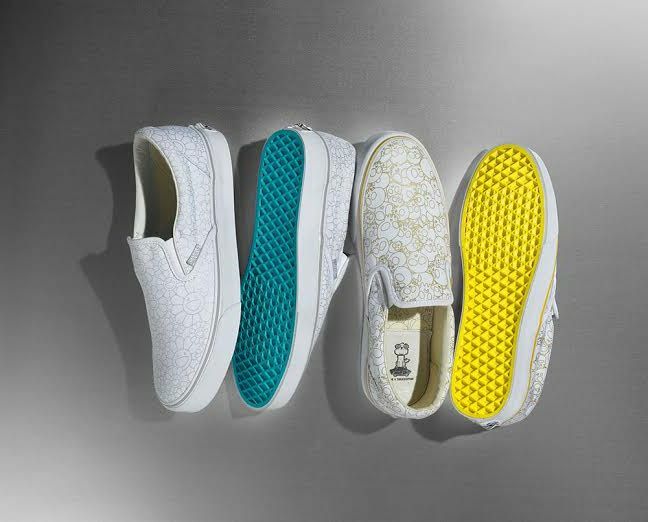 Vans is honored and excited to release the Vault by Vans x Takashi Murakami collection globally on June 27, 2015. Visit www.vans.com/murakami for more information and join the conversation using the #VansxMurakami hashtag on social networks. 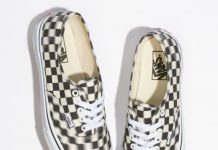 Get a closer look at this special project on the Vans YouTube Channel and watch the animated trailer dedicated to the collaboration.